There are some things just so thoroughly English they should be on British stamps. Sherlock Holmes already is. Ian McKellen will get there eventually. So Ian McKellen playing Sherlock Holmes was guaranteed to be a sight to behold. And now we can actually behold that sight: The first look at McKellen in Mr. Holmes is now out there in the world to see. Mr. Holmes , adapted from the Mitch Cullin book of the same name, follows the iconic character Sherlock Holmes during his retirement age. 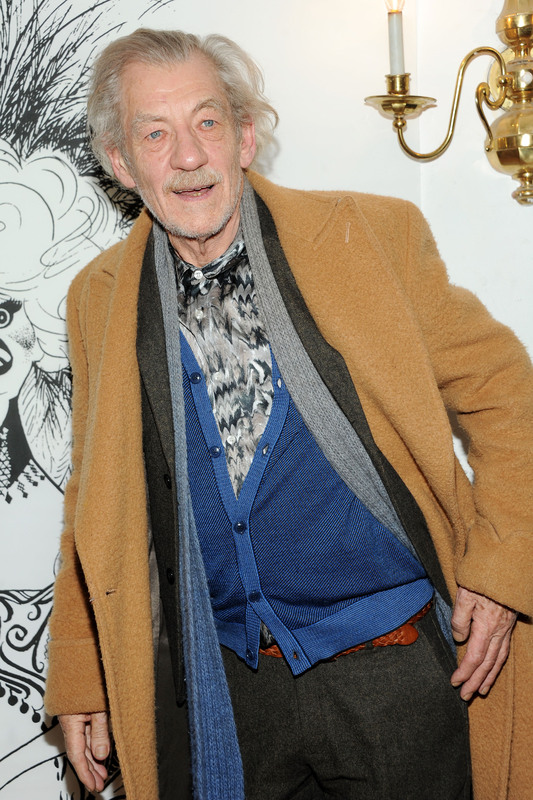 McKellen's hardly a stranger to playing iconic fictional characters — Gandalf, anyone? Magneto? — so it's only fitting that he'd take on Holmes in the Bill Condon-directed movie. As McKellen pointed out in his tweet posting the first photo of him in the role, "Over 70 actors have previously played Sherlock Holmes. Now he's 93 years old and it's my turn." The world is certainly saturated with Sherlocks, from the most recent adaptations starring the likes of Benedict Cumberbatch, Jonny Lee Miller, and Robert Downey Jr. in the roles, back to the classics like Basil Rathbone and Jeremy Brett. But we rarely see Holmes quite so advanced in his years — Cumberbatch's Sherlock shows Holmes decades before his most chronicled years, for example, and the era we're most used to seeing him is during his middle-age. We've still got a ways to go before we actually see McKellen onscreen in the role. The film's still in pre-production and doesn't come out until 2015. But there's something comforting in seeing a living legend play someone whose legend will never die.